Our hotels are set in the heart of an area rich in history and an ancient mining tradition. Places of incomparable beauty in perennial balance between the sea and the mountains. Impressive cliffs that sink into the blue sea, mountain landscapes covered by shady and welcoming forests, mysterious mines that penetrate the heart of the earth. 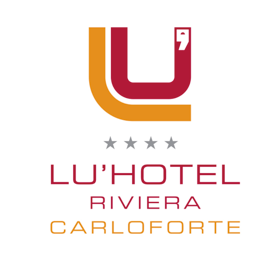 Welcome to South-Western Sardinia, welcome to our Lu’ Hotels. Come to discover Carloforte during the Girotonno! The ancient tradition and the millenary culture of tuna in a piece of paradise: Carloforte. From 30th May to 2nd June 2019 come to Carloforte for Girotonno. Four days of culture, art, music and entertaiment. This year we'll attend a culinary challenge between chefs from 8 different countries, show cooking and live music. First days at the beach are unforgettable: enjoy the sunny days and the freedom of an excursion among the hidden treasures of the Island. Moments to share on the social networks, during your stay in one of our Lu' Hotels. We are in the heart of the Sulcis-Iglesiente, a charming area, rich of history and ancient traditions. Here you can discover beautiful landscapes in an everlasting balance between mountains and sea. Let you overwhelm by a world where beauty and relax reflect Lu' Hotels philosophy! Discover Easter in Carbonia, Carloforte and Sant'Antioco! P.Iva/C.F. Registro Imprese di Cagliari: 03267290926 - REA: CA258297 - Capitale Sociale Euro 6.814.965,59 i.v.